Home > Blog > This Autumn Get 18% Flat Discount on Airport Car Parking UK Deals, 24 Sep 2016. 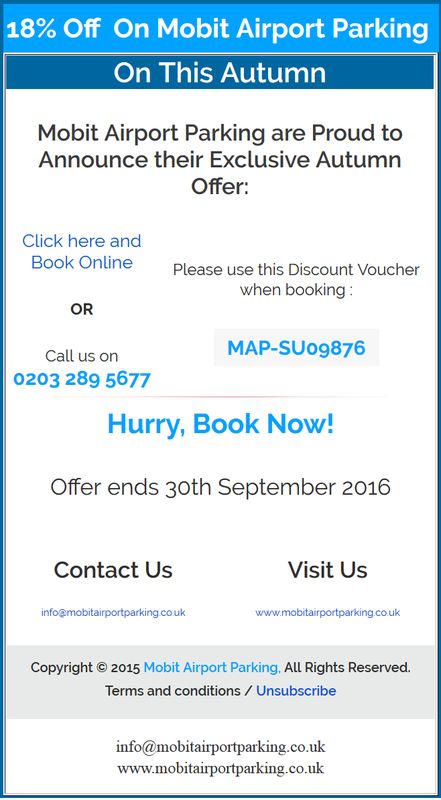 This Autumn Get 18% Flat Discount on Airport Car Parking UK Deals, 24 Sep 2016. Click on the voucher to avail the deal or add the code “MAP-SU09876” into the discount code bar. The deals is valid till 3oth September, 2016.